We have all heard the familiar up sell at fast food counters, “would you like fries with that?” Whether you intended to get fries or not, the real drive behind the question is revenue for the added item. Today many companies are “bundling products” for competitive reasons and in most cases, the decision has great advantages to the consumer. When it comes to personal insurance in Florida, finding a company that bundles home and auto coverage in one policy is challenging. With many of the larger insurers limiting capacity for homeowner insurance policies, homeowners are forced to find coverage with carriers that may not offer auto insurance. The advantage can be lower premiums, but the disadvantage can mean two different carriers protecting your Home and Auto. For the family that still prefers One Company, One policy, and One contact, we at Gilliland Insurance Group have an option for you, AAA Insurance. 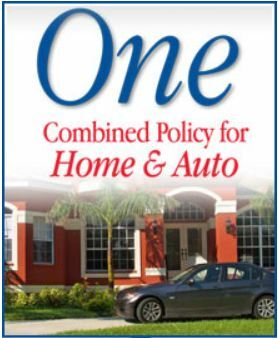 AAA Insurance offers the first and only combined home and auto insurance policy whose forms and rates have been approved by the Florida Office of Insurance Regulation. Call us for a complimentary quote.